as a social contribution activity in 2010. Preliminary contests are held around Japan and the winning teams from each region gather in the finals to fight for championship. including special supporter EXILE ÜSA, advisor Takeshi Okada and ambassador Shinji Kagawa. "EXILE CUP" will keep supporting children who are smiling and having fun while playing football with all their might. This year the eighth tournament of EXILE CUP was held. Over the past eight years since 2010, more than 3,200 teams and about 29,000 children with dreams have participated in the heated fights in this tournament. Starting from 2016, this tournament has been entitled "ROAD TO EUROPE" and champion teams have been awarded "Football Musha Shugyo in Europe". Champion teams had friendly games in Germany and watched a German Bundesliga match on site. Moreover, they also had a meet-and-greet with football player Kagawa. We are planning to keep on holding this tournament in order to support the children who are chasing their dream. Local people also help with the preparation of the tournament. As a tradition, the players will do "EX Dance Exercise" created by EXILE ÜSA to do a warm up on EXILE CUP. 16 teams which enter the knock-out tournament hold the draw to determine their groups using size 1 soccer balls. Fierce games with joy and tears are underway. The champion, 1st runner-up and 2nd runner-up are awarded and commemorative photos are taken. Certificates for participation in National Finals are presented to the champion team. Winning teams of each region will gather at the National Finals. The champions will be awarded with trophy and "Football Musha Shugyo in Europe". On the National Finals, besides the games, we also set up a place for other activities, such as natural learning. was awarded a "Football Musha Shugyo in Europe" as a surprise present! They had a friendly game in Germany with a local soccer team. 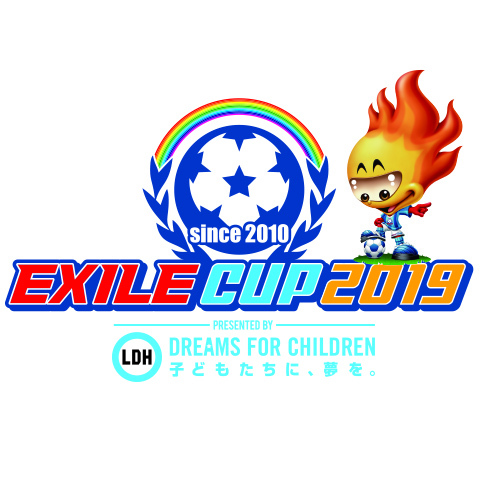 EXILE CUP which was held this year for the eighth time is an exciting event that brings together music and sports which are totally different fields.It is a tournament filled with the desire to support the dreams of children. Approximately 25,000 people have participated so far and I am pleased that children with dreams throughout the country have taken part in it. 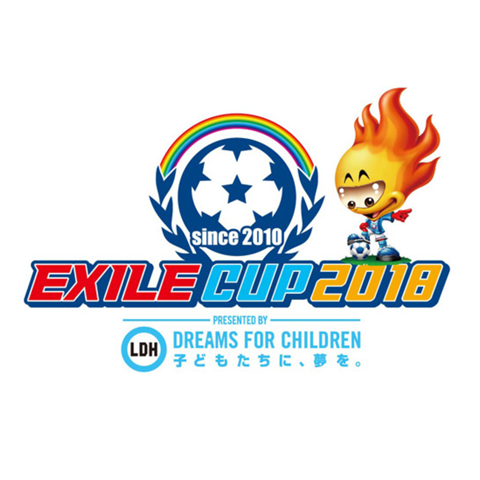 Every year when I go to watch the EXILE CUP games and see those energetic children, I myself remember the days when I was chasing the ball from elementary school to high school with my friends. And I get inspiration and excitement from these children who go all out on the field with simple thoughts like "I like kicking a ball" and "I want to win with my friends". As I have been achieving my goals through dancing, I learned the importance of deepening the ties with my friends I met along the journey. I also want the children to feel something important through this tournament, so I will cheer for them! I cannot wait to see what kind of dreams the children who will participate in this year's tournament have! We will hold the EX Dance Exercise created by me to warm up, so players, coaches and audience, please move your body and have fun! I heard that the eighth tournament of "EXILE CUP" will be held this year. I would like to express my gratitude to EXILE (LDH JAPAN) who puts a lot of efforts into the development of Japanese football. In the past February, I went to Dortmund in Germany along with the winning team. We met the ambassador of "EXILE CUP" Shinji Kagawa who for German club Borussia Dortmund. EXILE (LDH JAPAN) and Kagawa prepared a program to let the children experience the world-class football for themselves and tell them the importance of having big dreams to them. I was deeply impressed. I was able to find a big theme after this expedition to Germany. In order to keep up with EXILE and children who participate in EXILE CUP, I would like to run FC Imabari under a new theme. Everyone participating, please aim for the championship of the finals and win in the preliminary contests. I will be waiting for you at FC Imabari's home stadium, the newly built "ARIGATO SERVICE. Yume Stadium". I will be again serving as the ambassador as in the last year. I strongly felt that it is a tournament that gathers players who have distinct personality and love football. I hope that a lot of players who will play in Japan's national football team and international competitions will be born here. Please aim at the championship and do your best! Q1Please tell us why you joined this project. ABecause I love football. It was such a simple motive at the beginning. The football matches that I participated when I was in elementary school are still my memories of summer. Every time I participate, I want to create a football tournament unique to LDH that has never been held before. I am spending this whole year working on EXILE CUP. Q2Please tell us the good things and difficulties regarding the work on EXILE CUP. AThe good point is that I got to know children from all over Japan who love football. Speaking about difficulties, since the event is held during summer vacation, we have to cope with all kinds of weather, such as intense heat, rainstorms and lightning which cannot be predicted. We take maximum care of everyone involved and always remember to run the event safely. Q3What are the most impressive thing in EXILE CUP 2016? AWe communicated with local people and children who participated. We supported them and spent every day together. I think that the tournament itself is going to be a memorable event for everyone participated in it. Children's emotions remind us of the origin of human beings which we sometimes forget. Q4Please say something to those who are interested in social contribution activities and those who are already engaged in them. ADo not overreach yourself and do not be greedy. Start with small steps and do something that suits you. That is the secret of continuously moving forward. How about taking a first step forward without hesitation?